Eugene (Mar 2)--February was the cruelest month for Dummy Deborah Frisch. Lane County's similar triumph on Feb 2nd. 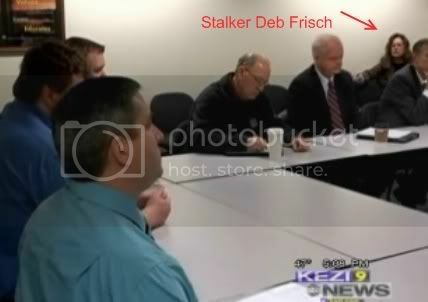 stalk the Lane County District Attorney at a Feb 1 Use of Force meeting. her almost a year ago. As a result, Frisch remains on probation until 2012.
which will lead to immediate arrest if Frisch violates it. 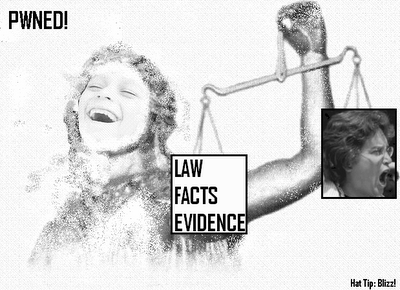 --yet another case of Deb Frisch being hoisted by her own petard.